Cheat for Detective Story He’s Dead She’s Dead Walkthrough – Investigate homicides around the city, feel the thrills of new york ! 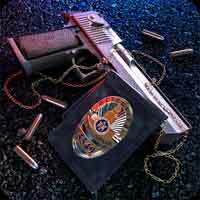 examine evidence, search for clues and find hidden objects to solve cases so you can arrest the criminals ! Join the Police of New York to solve a series of murder cases in this captivating room escape and hidden objects adventure game. Are you ready to prove your detective skills? Then dive into “Detective Story” and become a New York City detective pursuing justice. This entry was posted in detective story on May 9, 2017 by 100doorssolution.